Next postWant More Student Understanding? Try This. i wonder if this is another case of “we find what we are looking for”. As teachers, we often look for and share the bright spots. I know that I don’t go around the classrooms taking pictures of students sitting but I also know that for a good chunk of the day in my class and in many others, that is what happens. I am not saying there is not amazing things happening but that when students are moving around, engaging in discussion, or in deep reflective learning… We think of taking the pictures but maybe the students don’t. I wonder if we are too hard on ourselves thinking that students should be in the awesome moments all day. Is there anything wrong with a teacher teaching at the front of the class for a few minutes each lesson? Is there anything wrong with students sitting in their desks reflecting, writing, responding for part of the day? I worry that in the prettiness that is Pinterest, Instagram, and RT’d Twitter photos, we forget that there are times when direct instruction and individual work is important…. And that it is ok. The messy times of our classroom may not be times when kids pull out their phones because they are too engaged in the task. Maybe they DO notice all the changes that are being made but in the student world, it is less cool too share photos of great things at school. Maybe the DO notice the changes but will not thank us until years down the road. We often don’t know we have made a difference until years later. I suppose I could call myself a ‘recovering student’… I’m 26 now and took schooling and uni with a blaze of top marks and awards. I enjoyed the variety of school and found that teachers -even the ones students disliked- are all good people. I also did what I was told and got praise. What I saw (and still see) is a system that binds teachers in so many crazy ways and, sometimes, even by their own fear. Students pick up on this- hence we feel trapped in school and fearful to really speak out. 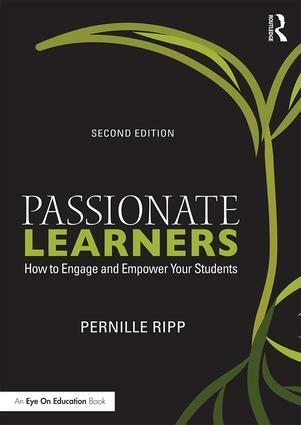 I admire Pernille and other teachers I’m looking for who are publicly reflecting on their practice and actively reviewing their own pedagogies: this is great work! From a student perspective I can say that one teacher with a genuine practice won’t change our view of schooling and many teachers with ‘some time’ dedicated to genuine practice won’t change our views either. But we do notice the effort! Please keep going! No I’m not sure if it matters “if students recognize it” now. Developmentally they aren’t wired to yet. They just don’t have enough myelin to be able to form conclusions and connections about how teaching and learning should look. What they are hard wired for is trying to make sense of the world for them and who they should be. The five senses are on overdrive along with body and hormone changes. For centuries kids have always preferred to play over work (two lenses). (Adults do too for that matter.) “We don’t need no eduction” “Schools out for summer” rock anthems for the young mind. With this type of mindset, why would we expect them to consistently respect and pay attention to his/her teachers effort? What I do know and I believe human development research will back me up on this is – Kids might not react right away or show appreciation for a teachers hard work and passion but they model later in life what they see consistently in their young life. So “never stop trying” Mrs. Ripp! Pernille, a suggestion: Share this post (where your surprise is heard loud and clear) with your students and let them see, think and wonder about your dilemma. You might be ‘surprised’ at the debate that results. Would be keen to how this goes…. I love the honesty of this post. It’s incredibly compelling to see someone articulate the thoughts that scare me on a daily basis. I’d like to think (maybe more for my own psychological well-being than anything else) that these fears are actually a really good sign. 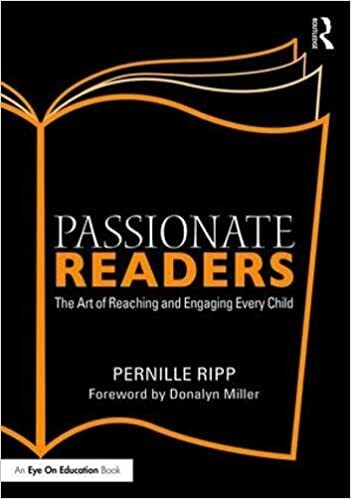 Teaching requires a deep quixotic impulse, and we have to recognize what a high bar we set when we hope for all of our students to be deeply, passionately engaged every single day. We’re really trying to rewire some powerful social programming. Most people that I’ve known average something like a 3 out of 10 on their enthusiasm-o-meters at any given time. Really successful, exciting people probably exist in the 7-10 range, and we’ve chosen a profession in which our mission is, in part, to nudge up the average for the entire population. What could be more worthwhile? What could be more difficult? I do love your enthusiasm scale and I think you strike a very good point, students would be exhausted if they were running high energy all day as would teachers. The students notice and they really do appreciate your efforts !! Students WILL remember long from now the teachers who put forth so much effort throughout their schooling. With that said looking at it all from the big perspective makes things very narrow from the student’s point of view. This of course will not be parallel with a teacher who is in school, by choice, to serve, and getting paid to do so. School is school, and it is what it is. Students are shuffled along class to class expected to sit, learn, reflect, perform, and excel. Day after day, week after week, month after month, year after year, which obviously gets very tiring. Years of conformity while feeling the constant pressure to live up to challenging expectations will wear down on a student’s psyche and positive outlook. Students are directed and teachers are the directors. School is not necessarily a place where freedom and/or individuality rings. The entire educational realm would need to change for you to see a much different snapshot you are working so hard and want to achieve. I don’t think students have been encouraged enough to express what they want/need to see in school. This exercise is a great 1st step, but now lets try another that specifically focusses on what students want to see. Maybe if we really encourage and focus on implementing more student input we would be able to make things more parallel without sacrificing instruction. I have no doubt students would be better able to visualize solutions for problems we may not even able to notice anymore. Perhaps we are working too hard to solve our own problems ? I think we need to work on allowing students more choices, engagement, freedom, creativity, and useful contribution. I have been asking students to change education for the past 5 years and I can tell you my educational practices have certainly changed. That is what my first book Passionate Learners is all about. I think it is absolutely vital that we ask students how to change the way we teach so that we can teach in better ways, but more importantly that they feel they have a voice in what happens to them and the kids that come after them. Incredibly, my HS Biology (college prep class) and Gen Ed co-teacher and I JUST had this conversation in our 4th Block (Friday) afternoon class yesterday. (Last class of the day and this week…)… I will post more on my blog, http://www.mrsduane.com, because the following conversation just blew us away. One of the students asked: why are we the only class doing this project? None of my friends have to work this hard… none of my friends in other Biology classes have to do this project… why are we the only ones who have to work this hard? Her question: If it’s so important, why is this class the only one doing it? Why isn’t every teacher making us do projects like this? I confess… I wasn’t stumped; I knew the answer. But I had to remain silent (more like carefully choose my words ) because I couldn’t very well say what was so terribly true. The truth is, that like you Pernille, I have been working to change the way we teach in our high school for the last 5 years. The truth is that our school is a 1:1 iPad infusion school that has spent $$$$$$$$$ on PD for the teachers and the best we get from 99% of them is to use their iPads for notes. The truth is that as much as many claim teachers need PD to move them off their old ways, it takes the willingness to put in the time and effort to swim upstream against the conformity current and so many teachers just aren’t interested in investing the time and energy it takes.